Is there a better alternative to SpendThrift? Is SpendThrift really the best app in Personal Finance category? Will SpendThrift work good on macOS 10.13.4? 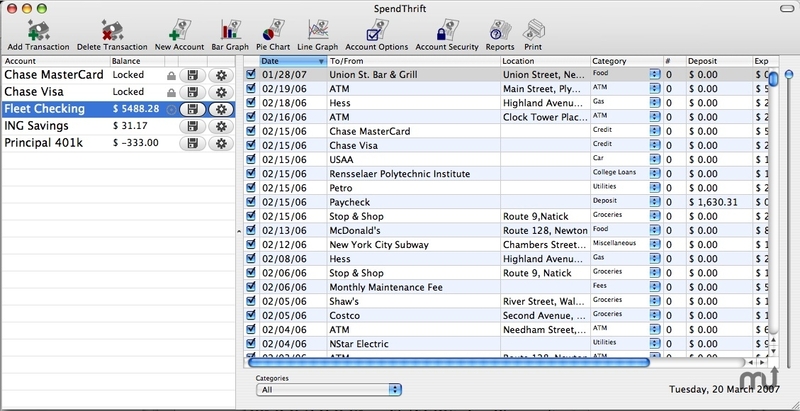 SpendThrift is a personal finance account management program with streamlined day-to-day expense tracking tools for multiple accounts as well as scheduled transactions, interest, reporting, and extensive graphing abilities. SpendThrift needs a review. Be the first to review this app and get the discussion started! SpendThrift needs a rating. Be the first to rate this app and get the discussion started!